Welcome to The Afterglow Trilogy Official Blog Tour. We read and liked Beckoning Light (our review) and we're happy to be a part of this tour hosted by A Tale of Many Reviews. 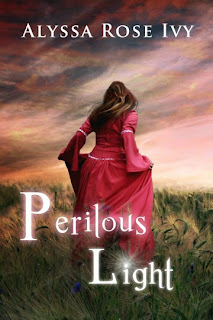 Author Alyssa Rose Ivy has shared with us a game of This and That with Charlotte's brother, Kevin, and an excerpt from Perilous Light. Dogs or cats? Dogs (but don’t tell Naomi). Coffee or tea? Coffee I guess, but I’d usually choose a soda. Dark or milk chocolate? Milk, you can’t beat a classic Hershey’s bar. Night or day? Night, I especially love a night game of basketball. Pens or pencils? Pencils. I like to be able to erase things easily. Sweet or Sour? Sour. I really like any kind of sour candy. Summer or Winter? Winter. At least when it’s cold you can add layers, if it’s hot there is nothing you can do. Movie or Music? Movies. I love anything with action. Crayons or markers? I guess crayons, but really I was never much of an artist. Shoes or no shoes? Shoes, but don’t ask me to wear anything but sneakers. PC or Mac? P.C. It’s what I’ve always used. We thank Kevin for stopping by! Blurb: Would you sacrifice everything for a world you barely knew? I saw her just as I rounded the corner to the pond. A light haze coated the sky, but the rising sun gave enough light to illuminate the area. I stopped several feet away and just watched. She was doing some kind of yoga stretches. I had no idea someone could be that flexible, and it only accentuated her beauty. Although it made me wince thinking about how painful it would be to hold my leg up like that, I couldn’t turn away. Her eyes were closed, so I decided to enjoy the view. She knew. Damn! Hopefully, she didn’t know I had been practically ogling her. “Yeah. Sure. Sort of?” I had no idea what she was talking about. She turned around and strolled over to me. “Ever since you and your sister arrived in Energo, there has been a change in the air. Now it is even stronger.” Samantha seemed so confident and excited that I didn’t want to let her down. Samantha laughed. “It is almost like a large weight has been lifted. We can do this. We can defeat Blake.” I gave her a weak smile, but couldn’t help focusing on her lips. As if she read my mind, she filled in the distance between us. About this author: Alyssa Rose Ivy lives in North Carolina with her husband and two young children. Although raised in the New York area, she fell in love with the South after moving to New Orleans for college. After years as a perpetual student, she turned back to her creative side and decided to write. This tour is presented by A Tale of Many Reviews. 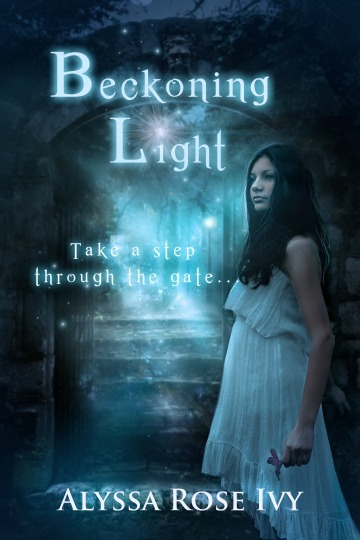 Thanks for being part of the tour and featuring Beckoning and Perilous Light!